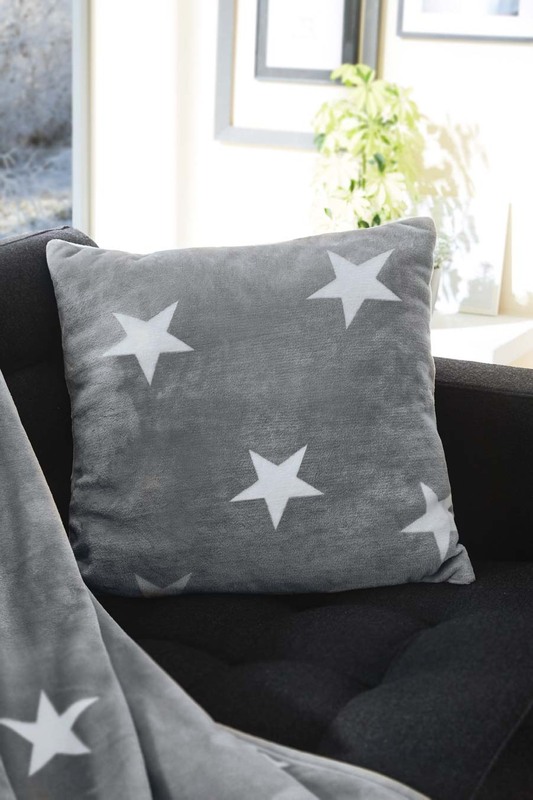 After a busy day you have certainly earned some well-deserved relaxation. 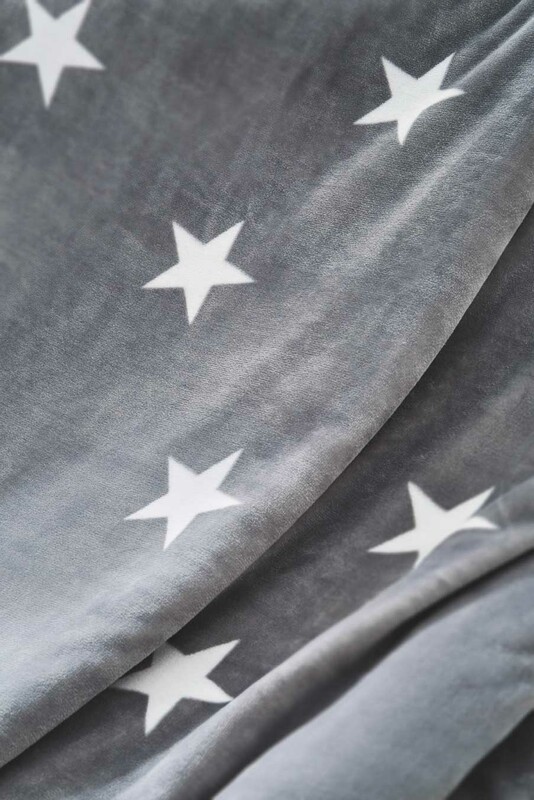 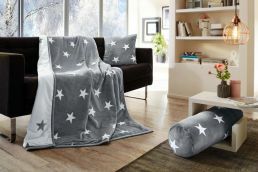 One of the best ways to obtain this is with our Star blanket. The reversible blanket invites you to cuddle and dream. 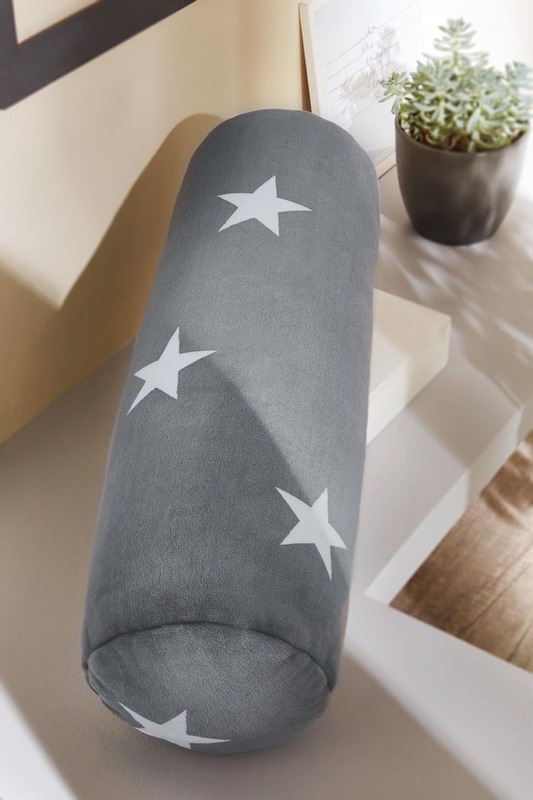 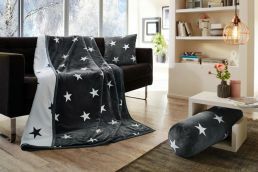 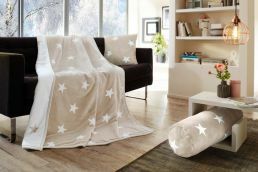 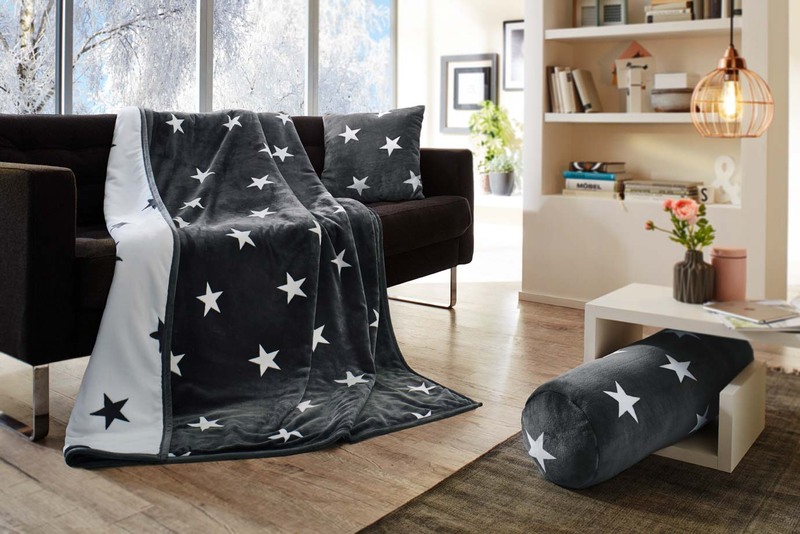 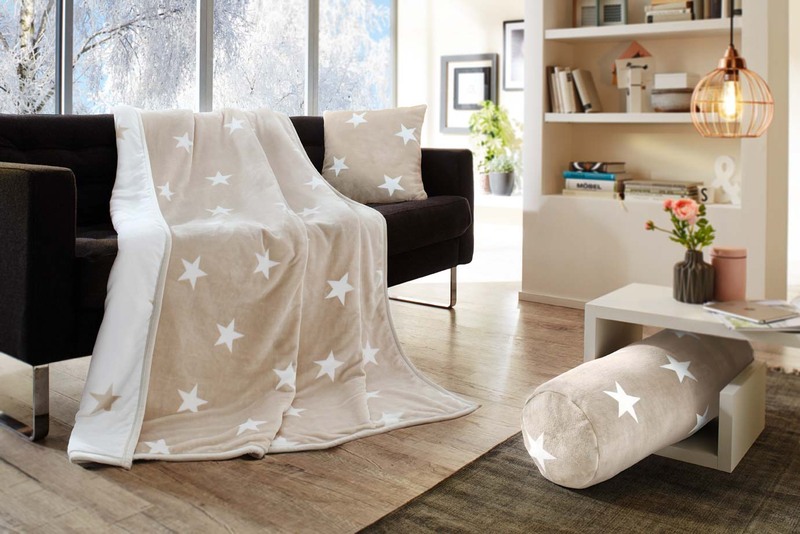 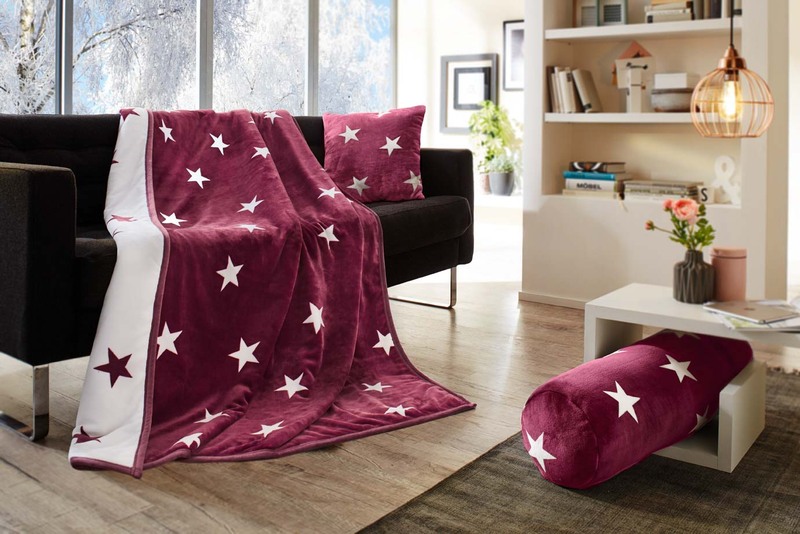 Having this silky blanket with a trendy star motif in your living room is a real eye-catcher. 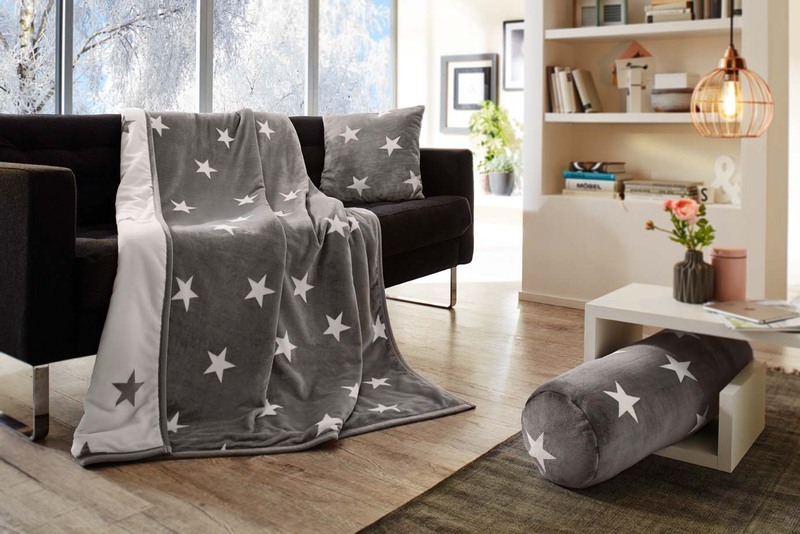 Measuring 150 cm x 200 cm, the blanket offers plenty of space to cuddle. 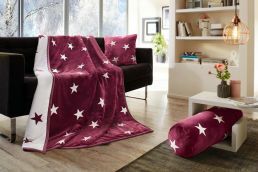 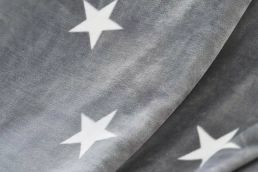 The top side of the blanket features a colourful design with white stars, while the underside has a white background with coloured stars. 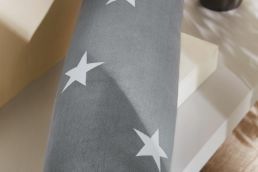 The recommended washing temperature is 30° C. The blanket is available in five different colours: cream, berry, taupe, silver and anthracite. 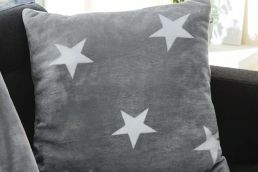 We also recommend our matching reversible cushions and roll cushions in the same design.